Flickr member noblerobinette (aka Claudia) and her husband had one of the best cakes I’ve ever seen. The cake itself wasn’t too fancy. It looked like most wedding cakes, complete with figurines of the bride and the groom. 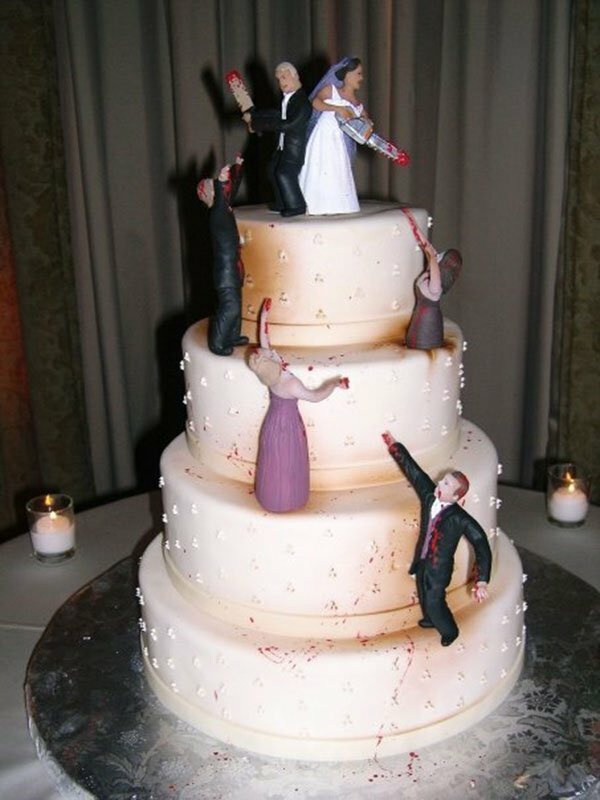 But add chainsaws and zombies to the mix, and you get a hilarious wedding cake. The couple chose a zombie-themed cake because her husband liked zombies. 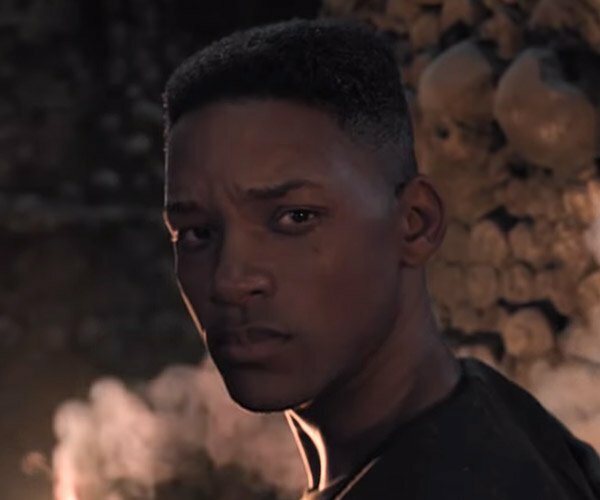 He and his friends even made a zombie-filled short film which he used to propose to Claudia. 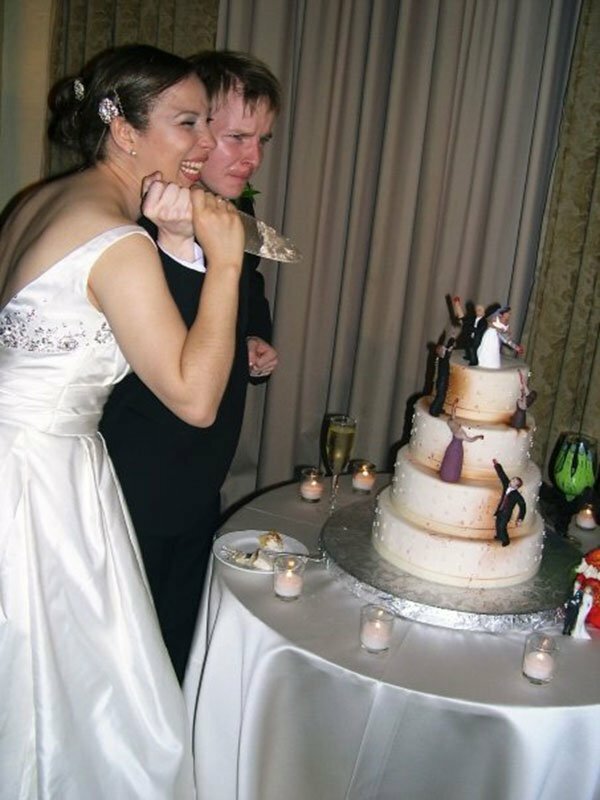 Also Claudia says that the zombies in the wedding cake were made to look like their wedding party. They’re not friends anymore. Kidding.